With the PlayStation 4 delivering two of the best games of this decade and Nintendo Switch having a superb sophomore year by expanding its library with some truly unique titles, 2018 has been a great year for fans of both Sony and the Big N. Meanwhile, if you’re a fan of Xbox, you got one of the best driving games in recent memory and the most powerful gaming console ever made. 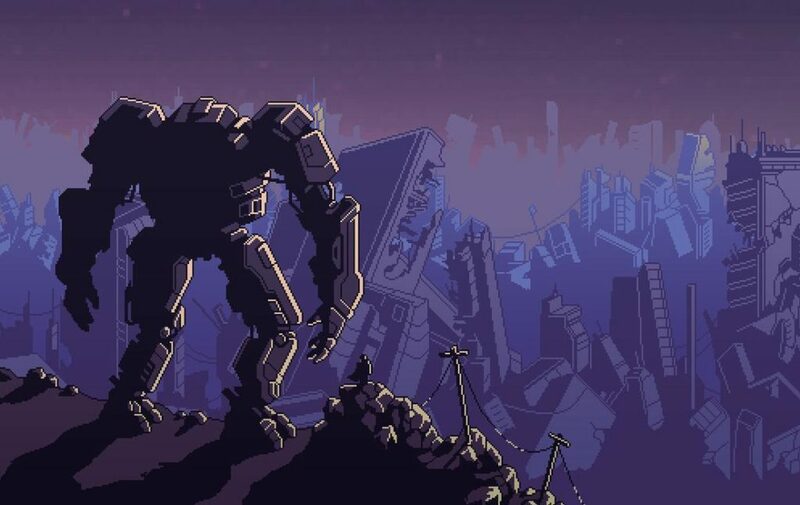 It has also been a fantastic year for indie games and when browsing our list you’ll notice many of the entries come from independent studios. From open-world adventure games to retro platformers, to sports games and everything in between – we hope this list will point you in the right direction when deciding your next purchase. In recent years, we’ve been inundated with plenty of retro throwbacks, but apart from a few gems released here and there, most of these have done little to stand out in their own unique way. Thankfully, Quebec-based Sabotage Studios, led by industry veterans Thierry Boulanger and Martin Brouard, created something that is more than just a loving tribute to the Temco line of platformers they grew up playing on the NES. You see, The Messenger is a fascinating exercise in genre reinvention, a showcase for two radically different approaches to homage. 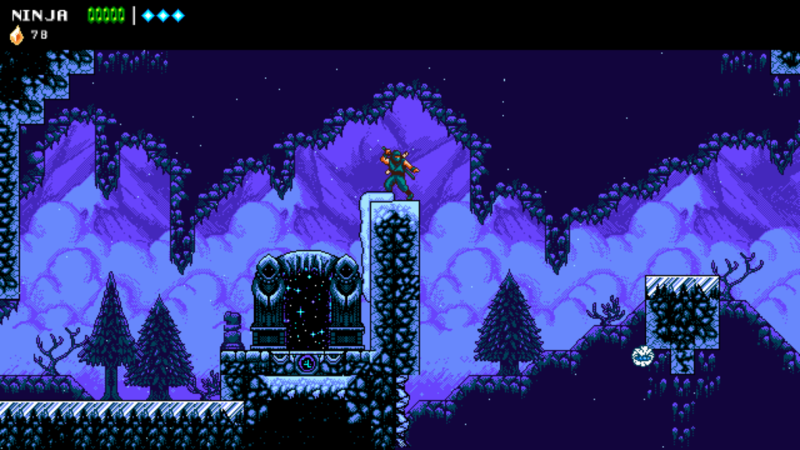 As it turns out, The Messenger offers two incarnations of the same story, with the second half following the same protagonist sometime in the future. In other words, the second half of The Messenger acts as a sequel, which means The Messenger can be viewed as two games in one. In a day and age when nearly every major game release comes with downloadable content available for purchase on day one, I tip my hat to Sabotage Studios for going out of their way to deliver such a high-quality product at such a fair price. Love it or hate it, you sure get your money’s worth! By now, anyone who has any interest in the game is familiar with the twist. What starts as an 8-bit action platformer switches gears midway through by upgrading the visuals, and eventually turning the game upside down, revealing itself to be a Metroidvania experience complete with thick labyrinthine areas, fast travel, and even a treasure hunt that forces players to scavenge various collectibles needed in order to reach the final boss. Just when you expect the credits to start rolling, the stakes are raised, as your ninja must travel between two time-frames — the past and the present — each represented in 8- and 16-bit graphics. Detroit: Become Human is set in a futuristic version of Detroit, where androids and humans live together. While it’s very much a Quantic Dream creation, having several issues that are known to their games, it is, for the most part, a great gaming experience where the player has a good deal of control over the events that unfold. Detroit recently became Quantic Dreams’ best-selling game, which isn’t a surprise. With impressive music, strong characters and choices that make a difference, I think it has earned its place on a list of the best of 2018. One of the strongest elements of Detroit is its characters. 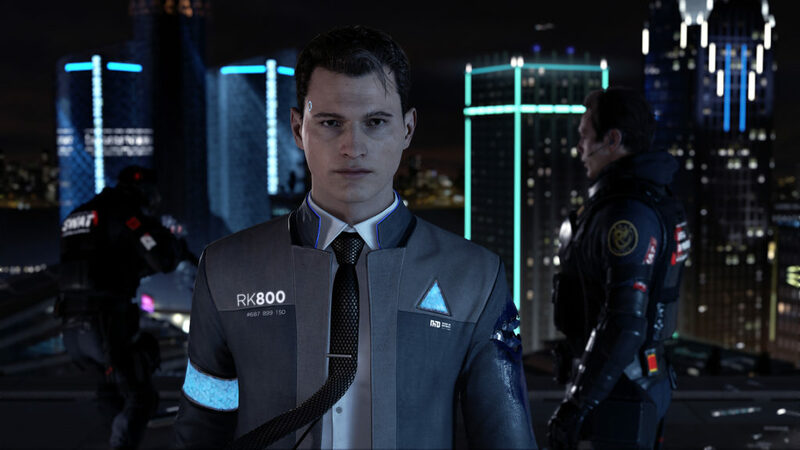 The player takes control of three androids: Kara, Markus, and Connor, each different in their approach to their roles as androids in a predominantly human world. The strength of these characters comes from the performances of their actors, as well as facial animations which are remarkably realistic and can convey even the smallest of expressions. You can’t help but care about them, and whilst there are a few decisions that don’t really change the story outcome, there are several moments where player choice is crucial. After each level, a choice tree is shown depicting what the player chose and what outcome the decision led to. This is a great way to show how the player’s choice has impacted the narrative and the various other branches of the tree show how many other outcomes were possible. They say the stealth genre is dying, that people don’t want games based on staying quiet and taking your time. 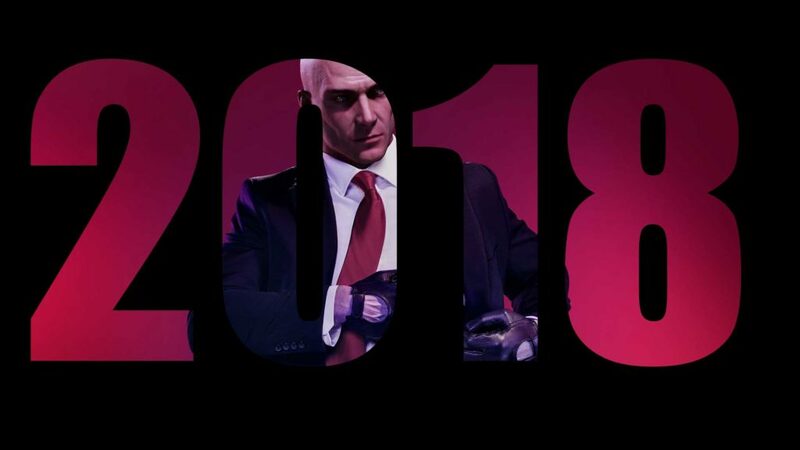 That may be true, but if Hitman 2 is the last gasp of the genre, then it’s a very, very good one. With the series moving back into the hands of those that first crafted it, Hitman 2 isn’t just one of the best stealth games in a long time — it’s likely one of the best ever, and certainly worth a look to see what a series at its absolute peak looks like. 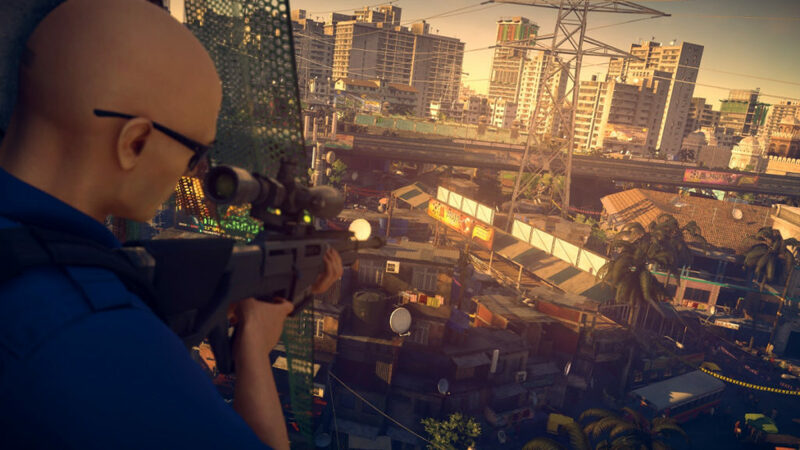 Building off the amazing potential groundwork laid in Hitman from 2016, Hitman 2 is everything you love about the series and more. There’s the sneaking, the disguises, the unintentional comedy of series protagonist Agent 47 attempting to act normal, and of course, the kills, as varied as your choice of clothes in the massive levels. Shoot, stab, drown, fry, smash, blow up, and blow down are just a few of the ways to eliminate targets; the amount of freedom and creativity is simply astounding. If there’s one thing that Iconoclasts delivers on in droves, it’s personality. From the start of the deceptively somber title screen, developer Joakim Sandberg makes it clear that his game is anything but cookie-cutter. Instead, players experience a lovingly handcrafted puzzle-platformer that screams passion, design chops, and years behind the controller. Iconoclasts’ story has grand ambitions. Players assume the role of Robin, a young mechanic wanted by the government for following in her father’s footsteps and helping those in need. The tale takes some interesting turns and provides plenty of lore between a healthy amount of dialogue with NPCs and little notes/documents contextually scattered throughout the world. However, the overarching narrative isn’t the reason to play Iconoclasts. That honor belongs to the game’s masterful level design, imaginative puzzles, and top-notch production values. Though players start out quite outclassed with a simple stun gun and eventually a giant wrench, both of these receive upgrades throughout the course of the 12-15-hour campaign that completely changes how players can interact with the environment. This is to say nothing of the combat, which itself contains puzzle elements when figuring out how to approach different enemy types (especially when it comes to boss battles). All of this is brought to life via some of the best sprite-based animations I’ve ever seen in a video game. The power of song will save us all. 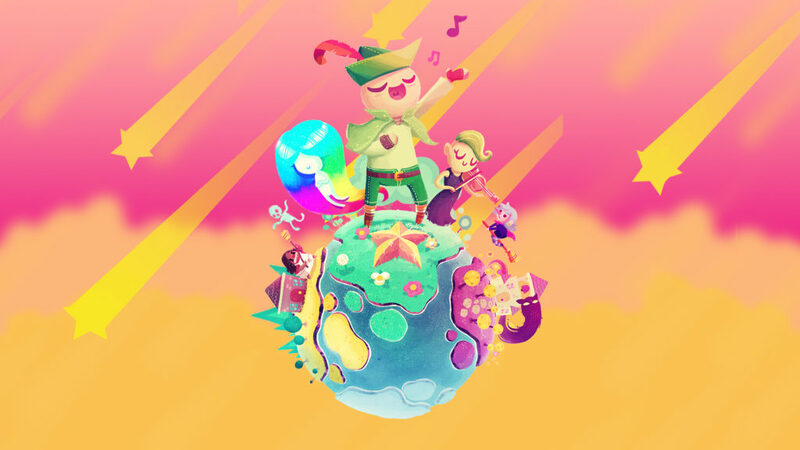 In 2018, there were many thrilling video game adventures to behold and partake in, but among this prodigious heap, a simple little indie called Wandersong told a heartfelt story, and sung a tune all its own. Wandersong begins with players trying to pick up a sacred sword to slay an intimidating beast. You’re terrible with that sword, really just no good at all. The thing is, you’re a bard. Your voice is your tool, your weapon, and your heart, and you sing your way through the problems of the land. Mean ghosts? Troublesome demons? Unruly pirates? Sing a song. At one point, your grumpy friend (who is a witch) insists on using magic to take down a nasty beast. You insist on trying to talk to the monster. It works. Throughout the game, you sail the seas, start a band, meet some mermaids, fly through the air on a broomstick, fail a lot, make many friends, and keep picking yourself back up while singing again and again. It plays wonderfully and looks great, with a cutout style reminiscent of Paper Mario and Steven Universe, but with an identity all its own. Since at least the release of Journey, countless indie games have attempted to metaphorically couple gameplay mechanics with storytelling but rarely do they succeed like Florence. Developed by the Australian studio Mountains, led by Monument Valley designer Ken Wong, Florence is a sort of non-violent mashup of WarioWare and a somber indie film where the player completes series of micro-puzzles that constitute phases of a romantic relationship between twenty-somethings. While these micro-puzzles could have easily come off as gimmicky, they represent some of the most mature, thoughtful, and rigorous devices of the year in terms of procedural rhetoric — the language-like ability for games to convey thought and feeling through action. In fact, some of the year’s biggest awards winners could have learned a lot from Florence about integrating gameplay and narrative in ways that don’t feel ham-fisted or abstruse. 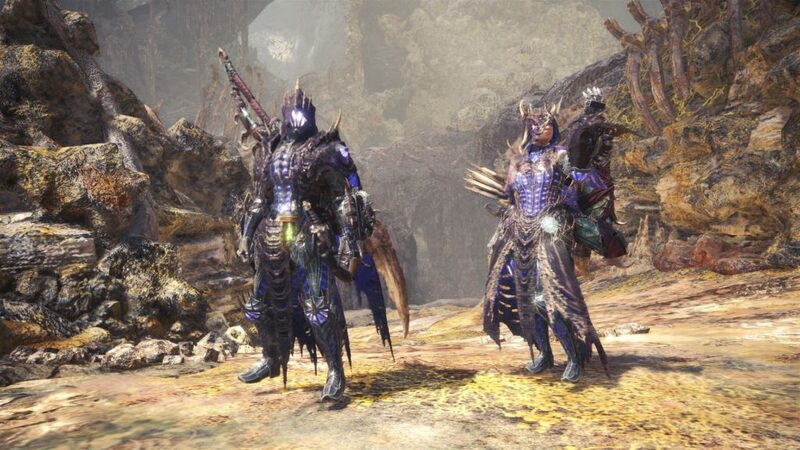 Monster Hunter: World may not be the very best game of the year so far, but it deserves recognition. We’re near the end of 2018, and January seems like a lifetime ago. That was a time where everyone in the world was sinking crazy hours into a JRPG/MMO, a period where we slaved away, grinded and slaughtered majestic creatures for a fancy pair of leggings. Monster Hunter: World doesn’t have the best story, and yes it can be a bit of a slog at times, but it’s nailed the premise of games as a service, possibly even better than Destiny has. Lara Croft is one of a few leading lady characters the video game industry has produced who is not only a household name, but has starred in several games since her debut in 1996. There are twelve games in the core series, and along with a dozen or so spin-offs (plus three Hollywood films), they have made her one of the greatest video game characters of all-time, regardless of gender. Like it or not, Lara was one of the first — and still only one of a handful of — female characters to helm an action gaming franchise, and despite her troubled past, the Tomb Raider series (at least the main entries) have more often than not delivered high-quality exciting adventures to gamers worldwide. When Crystal Dynamics rebooted the Tomb Raider franchise, it was somewhat criticized that the studio took a page from the Uncharted series. It’s hard to ignore that Croft’s more recent iterations do indeed take a wee bit of inspiration from Naughty Dog’s extremely popular action series, if only for the cutscenes and action-set pieces alone, but let us not forget that while we can clearly trace the cinematic imprint that Nathan Drake’s adventures have had on Laura, Uncharted itself began as a Tomb Raider clone. I mention this because as much as I love Nathan Drake’s adventures (and believe me I do), Lara Croft is undeniably the original globetrotting Indiana Jones-like figure of video games, and thanks to the recent trilogy, she’s back on top. Lara may not be as charming as Nathan Drake, but I’d argue that this recent trilogy has so much to offer, and apart from maybe the story, it gives Uncharted a run for its money. It should be said that Shadow of the Tomb Raider is an extremely violent and grim game. It has a higher body count than that of any other installment, especially when you take into account the number of innocent lives lost — sometimes as the direct result of the decisions Lara Croft makes, and other times due to a ritual human sacrifice at the hands of a crazed Peruvian cult. Lara herself also shows a disturbing darker side; when compared to the innocent young girl in the first game and the accomplished archaeologist and adventurer of the second game; here Lara must literally crawl her way over hundreds of decomposing corpses, swim through rivers of blood, and bear witness to indigenous people murdered in front of her eyes. Her journey is one of self-discovery, but also one of horror. 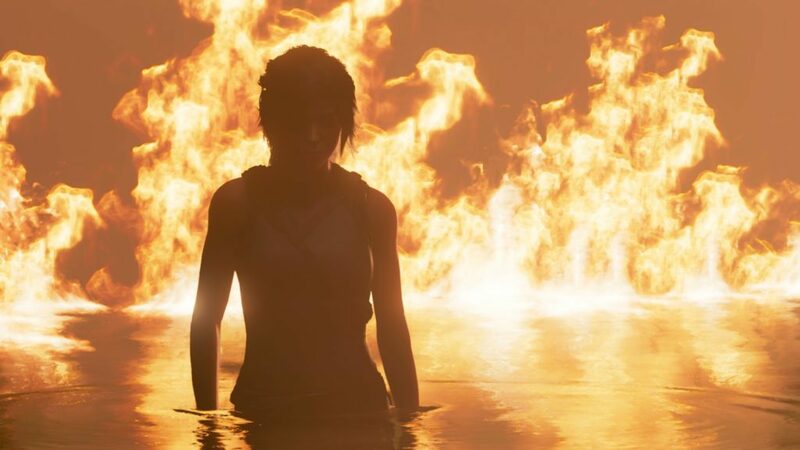 Once she gains the courage to see it through to the very end, Lara Croft rises from a blood-soaked flaming river to become a cunning and cold-blooded killer bent evermore on survival, instinct trumping all. She’s on a quest for revenge and vindication, and when it comes to gunning down her enemies, she doesn’t blink an eye. She’s brutal, to say the least, a resourceful deadly predator who is brought to life as a modern blend of Rambo and Ripley, with just a glint of psychopathy in her eyes. “How can Tetris be one of the best games of the year?” In a world full of 60-hour adventures, vast open worlds, and hyper-realistic graphics, it’s nice to return the basics every now and then. 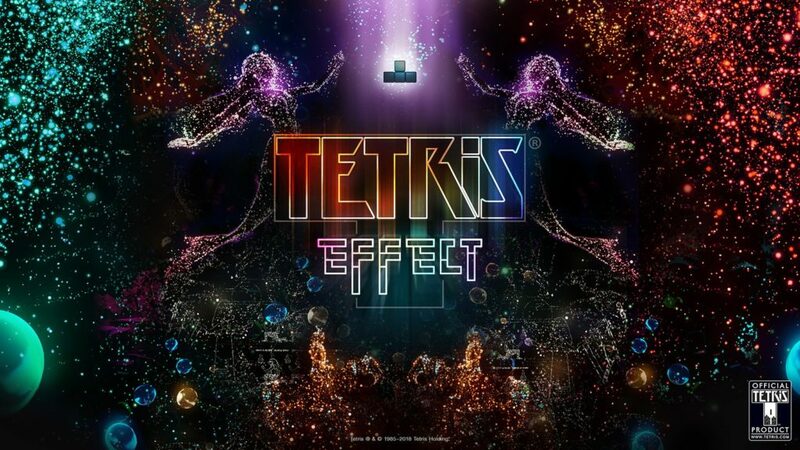 Tetris Effect injects the titular puzzle game with a dose of aesthetic. Even without a 4k display or surround sound, Tetris Effect is still a joy to experience. The game’s 3-hour Journey Mode takes you through 26 different visual and audio styles, each a treat for the eyes and ears. Effects Mode gives a multitude of different ways to re-experience the game and test your skill, and reminds us what’s really important about arcade-style games: playing in short, polished bursts. You can sit back and relax to a collection of styles in pre-built playlists, hone your skills with combo counting or speed-clearing challenges, and enjoy the game’s original mystery mode, which plays a bit closer to a party-puzzler. The game’s calming charm makes it a perfect fit to play when you just want to unwind or get ready to relax. Unless I’m simply overlooking something, a game for position #14 seems to be missing. Also, I saw tags for Mega Man 11 and Mario Tennis Aces, but neither appears to be featured in the countdown.